Sikh Tourism strives to provide Sikh, Punjabi and other communities the best of Punjab, Gurudwara Yatra and Sikh religion related holy places travel services in India. Traveling to Punjab and these holy & religious places really gives you peace but only if it is hassle free and convenient. For that you need to travel with someone with expertise in organizing tours in different parts of India. We as a Sikh Travel organization understand your requirements and offer you a complete tour package catering to all your requirements. We are totally into Sikh Pilgrimage, Gurudwara Tours, Sikh religious tours, Punjab Tours and unveils the best of these through specially designed tour packages. It covers all the specialities of Punjab & Sikh religion including its ancient culture and heritage, customs & practices, colorful fairs & festivals, spiritualism and pilgrimage. Tours to Delhi, Punjab and India Gurudwara. Punjab Village and Farm House Stay. 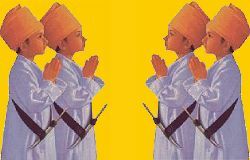 Educational and School Students Tours for Amritsar, Punjab & India. Car, Coach & local transport arrangements. You will cherish each and every moment of it. The warmth of traditional welcome of Punjab and the peace & calmness at the holy places is an experience you'll never forget. Have a time of your life to be here and feel yourself to be close to almighty Wahe Guru.